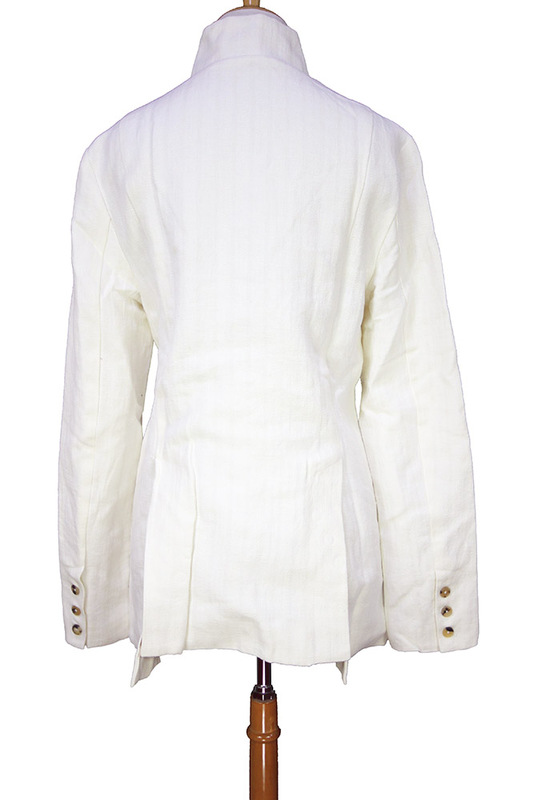 Aleksandr Manamis linen/cotton/hemp jacket with woven stripe. Round collar sewn notches. 6 button fastening. 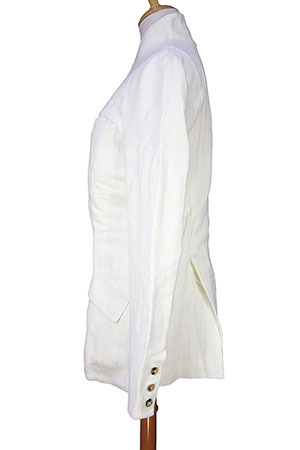 2 pockets with flaps and single left chest pocket. 3 button working cuffs. Double vent at rear. Fully lined in striped cotton. Single inside pocket with button fastening. Stunning jacket which matches the trousers in the same fabric to create a wonderful Summer suit. Yes it is that good!